We are amazed and delighted at how well Mum has settled into Water Mill House as she seems much more stimulated than she was when she lived alone. We only wish we had done this earlier. The team at Water Mill House is so caring. They seem to care for our mother as much as we do, which we never thought would be possible. I love working with the team at Water Mill House. They are always so caring and compassionate. The happiness that resonates around the home warms my heart every day. 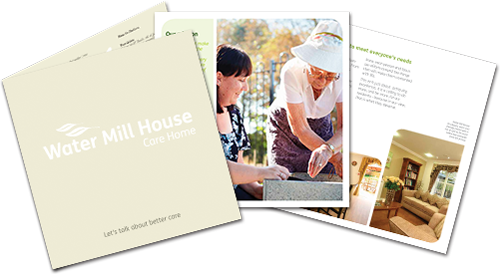 Water Mill House Care Home is an award-winning care provider offering quality residential, nursing and dementia care in an environment of comfortable luxury. Our exceptional nursing and care teams ensure that both individuals and couples can live a better quality of life by receiving unparalleled levels of care, stimulation and social interaction that improve overall health and wellbeing. Situated in the heart of the local community between Apsley and Hemel Hempstead, in Hertfordshire, we welcome visitors to experience just what makes Water Mill House the place to choose for quality care. A world away from what many people would consider a typical care home, Water Mill House offers unique luxury, but with a homely feel that is enjoyed by residents, their families and friends. We take a serious and compassionate approach to elderly care where our qualified and experienced team make our residents’ needs their priority. Whatever our residents need in terms of elderly care, we ensure that our team members are continually developing their training and skills to ensure they are qualified and confident in catering for anything that our residents may need help with, both physically and mentally. Our Home Manager Noelia Fernandes has a wealth of experience in delivering high quality care and is supported by a skilled and experienced team who undertake regular on-going accredited professional training to ensure that the care provided to our residents is of the very highest standard. There are many compelling benefits to making Water Mill House your new home. 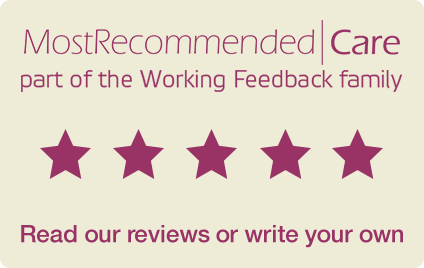 Find out why our residents chose us. Our home manager, Noelia Fernandes is here to help you and your family. If you have a care enquiry please contact her on: 01442 899 000. Looking for a job at Water Mill Care Home? As I drive past Water Mill House many times it will be with fond thoughts of my mother and the time she spent with you. Please can you thank all the team at Water Mill House for the care and kindness they have shown my mother and all our family. It was a lovely place for mum and us to spend time with her. I am so thrilled that I was persuaded to use the gym and regain my strength at Water Mill House. It’s made such a difference. Now I am much more active and that brings so many benefits. Thank you so much for your time and care in helping to make Mum’s birthday a special day for her. 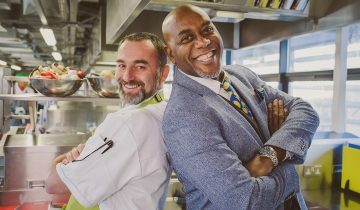 Chef Libor Olsanik joined celebrity chef Ainsley Harriott at the launch of a remarkable new cookery book, specially developed for Water Mill House Care Home. The home is commended for providing excellence in end of life care. Call Water Mill House Care Home on 01442 899 000. If you are looking for a job please call our recruitment enquiry line on 0800 612 9704.